As part of its Careers in Manufacturing campaign, the Malta Chamber’s manufacturing executive board, with the support of Malta Enterprise and the Education Psycho-Social Services (EPSS) section within the Ministry for Education and Employment, collaborated to organise a week-long Career Exposure Experience for Form 4 students. 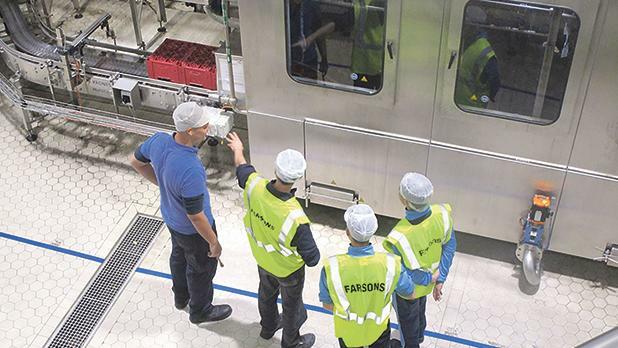 As part of the company’s commitment to supporting its partners and students in offering developmental experiences, Farsons Group hosted two students from Gozo. “The students were keen on their experience with the company and were amazed at the size and growth of the company and were impressed to see products that they commonly see on shelves in outlets, actually being produced,” Mariella Galea, L&D and performance manager, said.